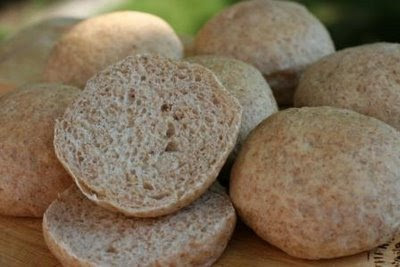 I ran out of white flour while making buns and improvised to make this whole wheat version. They are very tasty! 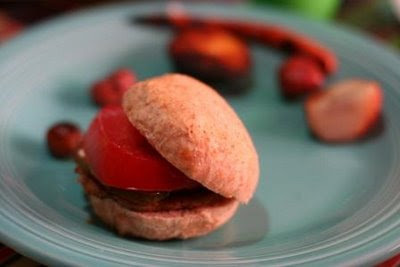 Pictured here are the mini buns I make for vegan slyders, but you get the idea. Use the method from this post. Son #2 insisted I take a picture of his meal for the blog. He arranged his burger and veggies very nicely on the plate. Kind of look like PacMan.